Rivalling OH’s fertility drug picture! This treasure trove of delights is my current survival kit for my bipolar, hayfever, asthma and under active thyroid! 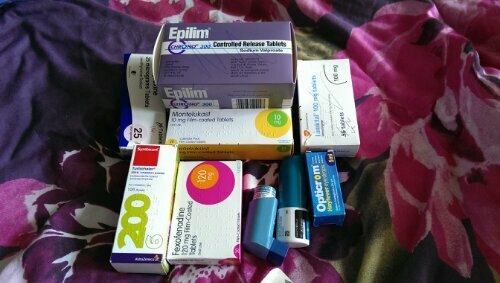 This does not include the occasional extras, such as diazepam, migraine meds and steroid tablets! I think you’ll agree it’s quite impressive! And sort of irritating from my point of view.